$22.8B in new spending over the next five years. 2018-19 deficit projection: $14.9B, down slightly from the fall. 2019-20 deficit projection: $19.8B, with $3B risk adjustment. Debt: $685.6B, projected to rise to $761.7B by 2023-24. Debt-to-GDP ratio: Projected to be 30.8 per cent, falling to 28.6 per cent by 2023-24. $1.25B over 3 years on shared-equity mortgage program for first-time home buyers. 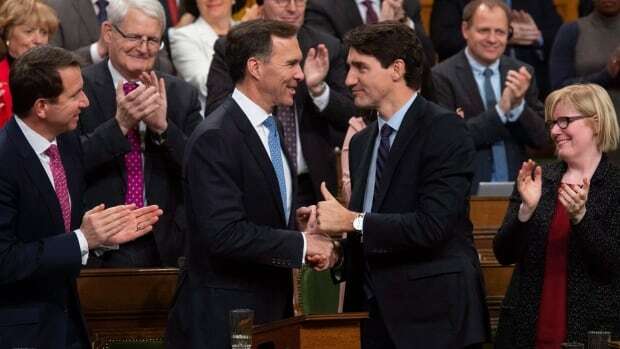 $3.25B to Indigenous Services for water quality, child welfare, education and other supports. $2.2B for one-time doubling of Gas Tax cash for cities’ infrastructure spending. $1.2B over 5 years for border security and modernization, and for the asylum system. Interest rate on Canada Student Loans lowered to prime and will be interest-free for 6 months after graduation. Airport security screening agency CATSA to become an arm’s-length agency. $595M to support journalism will include 15% tax credit for digital news subscriptions.